My wife isn't really a people person. The team at George Gee - bent over backwards to make this experience pleasant for us both. Paul Turner - allowed her to 'test-sit' in the vehicle for a LONG time. She was rocking out the sound system and getting a feel for it - and he left her alone. He didn't act like we were an interruption to his day - he acted like we were the most important people on the planet - every interaction we had with him. The business manager (Russ) was accommodating, as well. He did the paperwork in such a way that she didn't have to sit through the entire business manager part of the car buying experience. When we had it all wrapped up - she had to come in and sign some things - but, that's it. It was an excellent experience. My wife isn't really a people person. The team at George Gee - bent over backwards to make this experience pleasant for us both.Paul Turner - allowed her to 'test-sit' in the vehicle for a LONG time. She was rocking out the sound system and getting a feel for it - and he left her alone. He didn't act like we were an interruption to his day - he acted like we were the most important people on the planet - every interaction we had with him.The business manager (Russ) was accommodating, as well. He did the paperwork in such a way that she didn't have to sit through the entire business manager part of the car buying experience. When we had it all wrapped up - she had to come in and sign some things - but, that's it. It was an excellent experience. I was kept well informed by my service advisor Rachel throughout the service. She was friendly, efficient and explained everything well. Service took much less time than I expected which is always a plus. 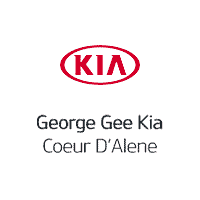 We had such a good experience with Don and the other George Gee employees and appreciate the professionalism demonstrated by everyone we interacted with. We are both excited and look forward to driving The Nissan Pathfinder. We will refer others who are looking for a good honest experience to you. We bought a car last Oct from this dealership and it didn’t work for our family. This dealership took our needs seriously and got us a car that met all our needs within our budget. Brandon and Eric went the extra mile to listen and “make it work for us”. We are so appreciative! Welcoming, provided great customer service, personable, but not over welming. Common curiosity, polite. I double booked, they took me to my appt. And picked me up. I was thankful for the assistance. Thank you to Rachel, Chris, and the other two guys,first guy I met and who picked me up from dr. Very pleasant and genuine. Great staff, Russell our salesman is a true honest proffessional. made it a straight up no hassel purchase. Paul in Docs was super nice & cool as well. Owning a HVAC service business for 30 years & buying dozens of new vehicles. I know hustlers, scam people etc. They were true to there word and when my wife and I left the dealership, she as well said she enjoyed it. No hassles, no bs, no problem! Straight shooters all the way through! Jed was so easy to work with and Brandon was a real professional, thanks guys! The dealership was clean and provided beverages and snacks while we waited. They were very accommodating in allowing us to drive a car that was on the show room floor.